The most important delivery required for the construction of our new winery has arrived today on schedule. Today our buildings have arrived! 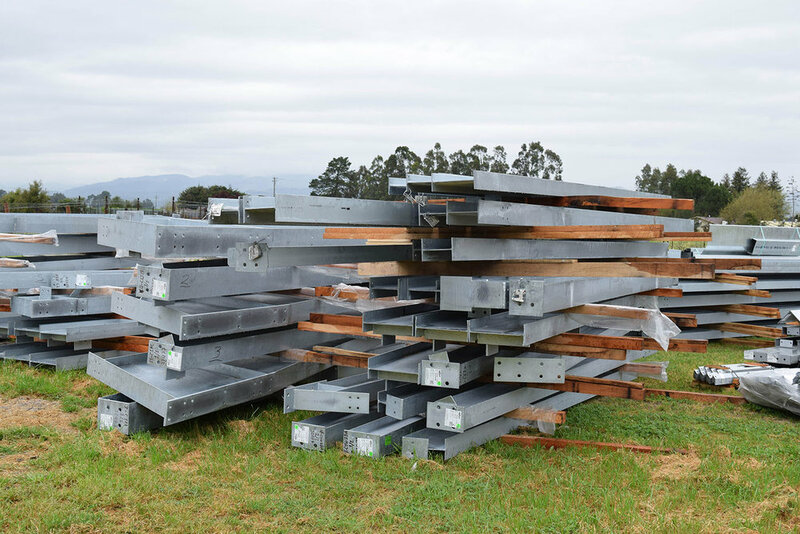 After being off-loaded, all structural members are organized by the erecting team and put in order of how they will be placed and erected. 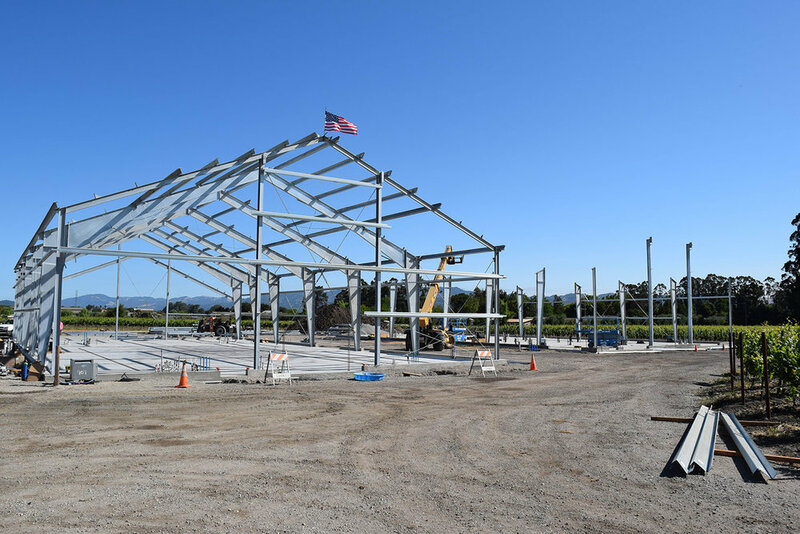 Manufactured in Oregon, and having arrived in many pieces, the building is already being prepped for erection by our crews on site. 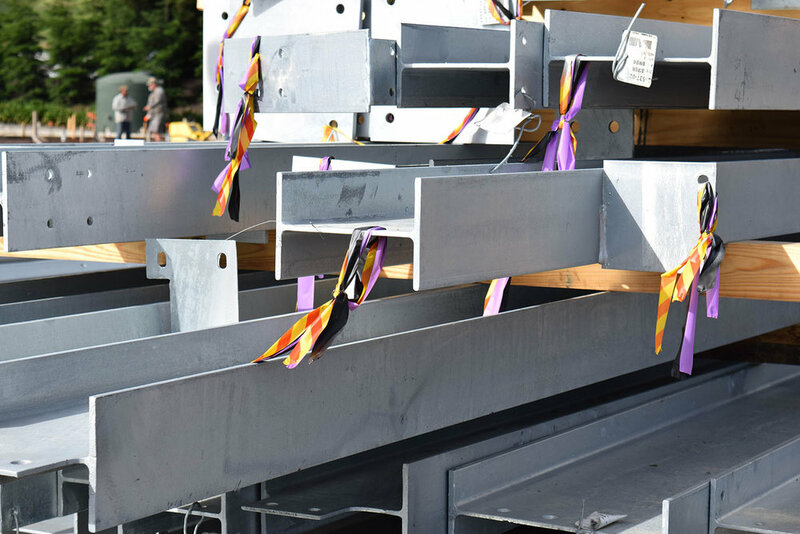 Over the next few weeks, we will be erecting over twelve truckloads of steel materials which were delivered to the site today. Once the structural steel members are all in place, the interior and exterior walls and roof will be delivered to be put in place. 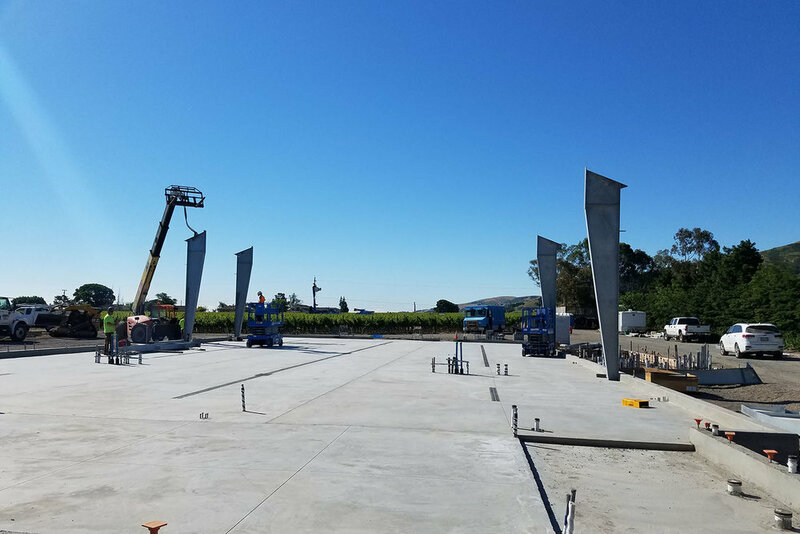 The new Roche Winery will soon start to take shape! 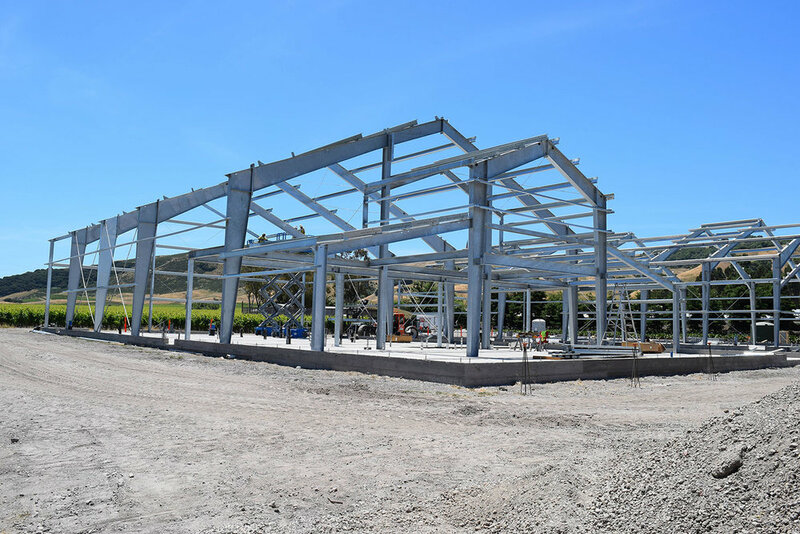 The winery framing has commenced! As is tradition with this erecting crew, with the placement of the first beam representing the top of the building, also is the placement of the American Flag. This flag has special meaning for this team, as this was one of the team members Grandfather’s flag, who was also a steel erector. This flag now flies with the 3rd generation of this steel erecting family.